Cardiff University has been named as the research partner for a new What Works Centre for Children’s Social Care. Working closely with social innovation charity Nesta, which was awarded the contract to deliver the What Works Centre last month, researchers at Cardiff will develop a strong evidence base around effective interventions and practice systems. This will include using the findings from projects in Round One of the government’s Children’s Social Care Innovation Programme, published in the Final Programme Evaluation Report today. The independent report found that in many cases, projects funded through the Innovation Programme led to fewer children in care and more children being reunited with their birth families. "All children deserve the best possible care and support and that’s why we are investing £200 million in the Innovation Programme to help organisations to drive improvements in children’s social care. "It’s encouraging to see the positive findings from the projects so far, many of which have already started to improve the lives of vulnerable children and their families. 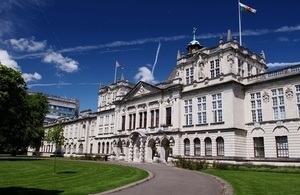 "The What Works Centre will play an important role in building evidence to both help improve outcomes for children and deliver cost effective innovation, and I am delighted that Cardiff University has been awarded the research partnership. I look forward to hearing more about the centre’s work to improve outcomes for children." "We are delighted to be involved in this important initiative. The What Works Centre aims to provide useful evidence of the highest standard for workers and leaders across children’s social care, and we look forward to delivering an ambitious programme of work aimed at making a tangible difference to services for children and their families." The learning from the Innovation Programme is being collated as a bank of good practice and tools the sector can use to improve services for children and deliver better value for money. These are available on the new Children’s Social Care Innovation Programme’s website, launched this week and run by the delivery partner, the Spring Consortium. This new website will make the evaluations of projects more accessible for social workers, children’s services and others involved in caring for children, to use the evidence to improve their own practice and services. To complement this, a new national learning conference will be held on February 27 2018, which will share the evidence and best practice from the evaluations of Innovation Programme projects.